Oscar Wilde once said, “The good ended happily and the bad unhappily, that is what fiction means”. But when an author combines the real and the fictional so well, when he mixes the ingredients so deeply that one cannot quite remember whether it was Whistler, Sickert or Hallward that is the one Victorian Painter who is not like the others, and when everything and everyone is in his and her place (or is it someone else’s? )… fiction can mean still more. When I was a lad I read Ray Bradbury, and of his many indelible stories Usher II and The Exiles held a special resonance. 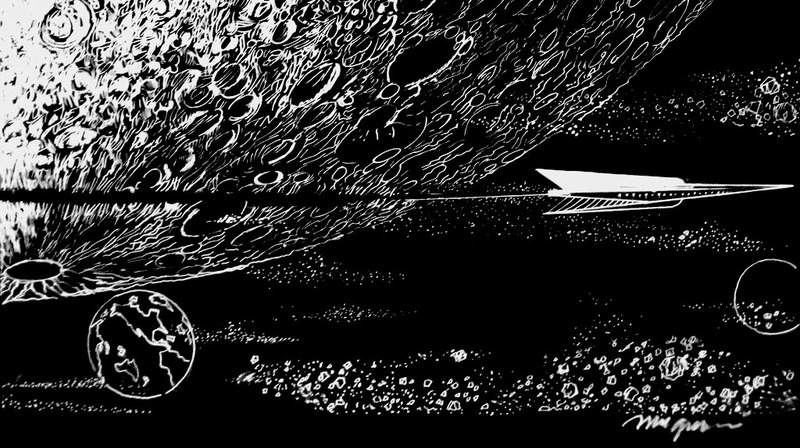 In Kim Newman’s latest – Johnny Alucard – the marvelously-named author Kenneth Anger believes in this sort of magic. Of words made flesh. Of Cinema writ large. Maybe writ in blood. Maybe it’s untrue, but why would that noted liar and magician Kim Newman lie to me? And does it matter if he has? This is where those lines – between truth and fiction, between facts and gossip, between fiction and magic – blur to the point of uselessness. 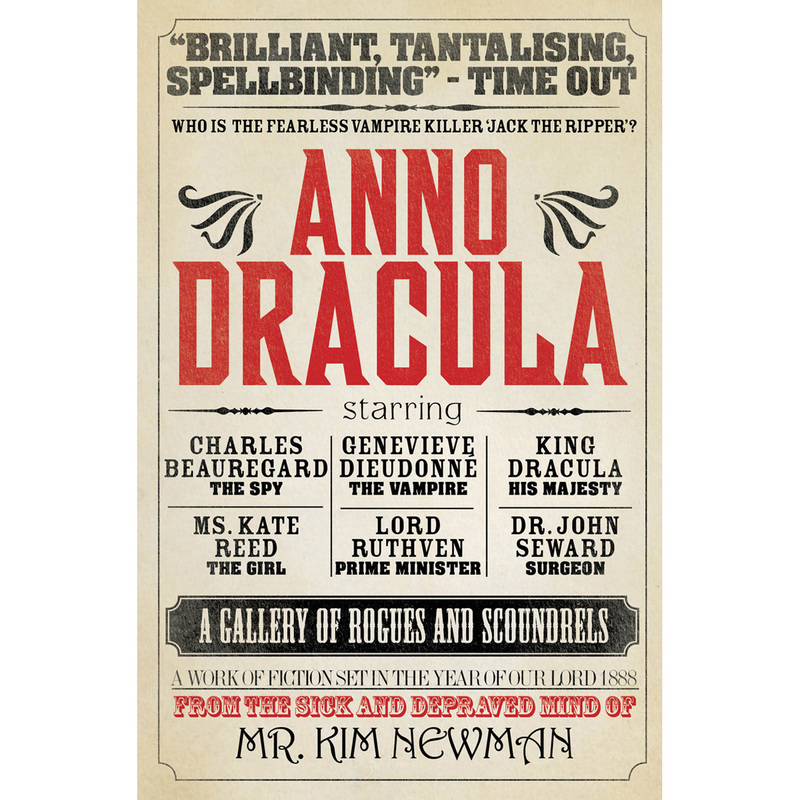 I’ve loved Newman’s Anno Dracula since I read it decades back. I read it again (this time aloud) after last year’s trip to Brighton for the World Fantasy Convention. I’d been fortunate to meet up with the author there, and returned with signed books. But I put off the reading of this newest work (the fourth “real novel” in this series) for months. And even now, I’m going slowly. The suspense is terrible. I hope it’ll last…. I’m only at page 300, and while I have some thoughts about how I might end it, there’s nothing to say that Newman will agree, or even stick the landing. And it doesn’t matter. Because it’s not about the destination, truly. It’s not a question of whether it ends in dust and disarray. It IS those things – red dust specifically: “Drac”. It’s a series of short stories and novellas that pretend to be a novel. Just like how Uncle Bradbury used to make ’em. I remembered my qualms about Anno Dracula. “Really, a book about Vampires? Who cares?”. Well, me for one. Neil Gaiman (as the new Titan Books edition of the novel makes clear on the spine) for another. 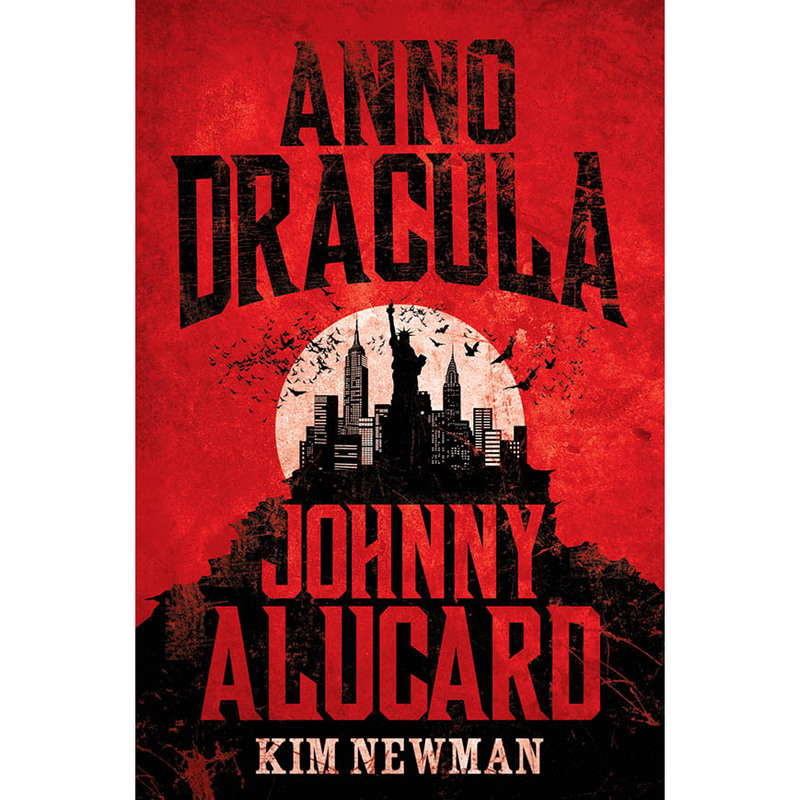 I had qualms about starting Johnny Alucard for a very different reason – because the book would wrap around that second Age of Victorian Values – The Age of Thatcher – the very period that had inspired Anno Dracula in the first place. And, I think, the key to so much of its power. A vampiric ouroboros, I worried that this confection must collapse under the weight of its own referents like a flan in a cupboard. I was wrong to doubt. At first, I simply enjoyed its game of flashback and substitution. The magic of movies at their most intense. The ouroboros seemed bent on swallowing its own tail (well… tale) and draining it dry, but I went with the arterial flow. Why not? Francis Ford Coppola’s Apocalypse Now, unmade – remade – made as an alternate history’s Dracula in Ceaucescu’s Romania? A swan song for Philip Marlowe outside Poodle Springs was charming, but brief. And light. An aperitif? A sorbet? Or were we getting as lost in the West as the “vipers” themselves? And then another change of scene, some light…. necking? The Dude? The Slayer? And a certain rumpled detective? Well, all I’m saying is that I wouldn’t leave town if I was you. And that’s when I realized that this wasn’t an ouroboros at all. There was no end in sight, certainly not in the fanged mouth of Maggie Thatcher. No, not a coiled serpent, more a sort of Moebius Strip. It wasn’t covering the same ground or coming from the same place. Rust never sleeps. Anywhere. Through the Looking Glass? More like ‘Through with the Looking Glass’. And just as well, mirrors are bloody useless to a vampire…. A vampire needs an audience.